You now have access to the Everything Counts Starter Kit. 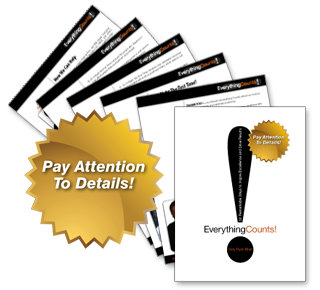 This kit contains three components to give you a better understanding of the Everything Counts program. Doing Things Right the First Time is a philosophy, a mentality, and a performance standard. 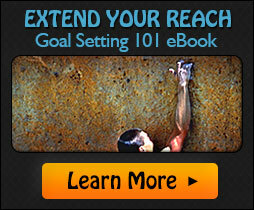 In this powerful message you’ll hear twenty-one reasons why you must adopt this highly effective strategy. Your greatest responsibility is to define excellence in your life, then to choose the best course of action to make it happen. Pack your seatbelt as this message will show you how. The magic behind every outstanding performance is always found in the smallest of details. You’ll change your tune about sweating the small stuff once you hear this insightful lesson.